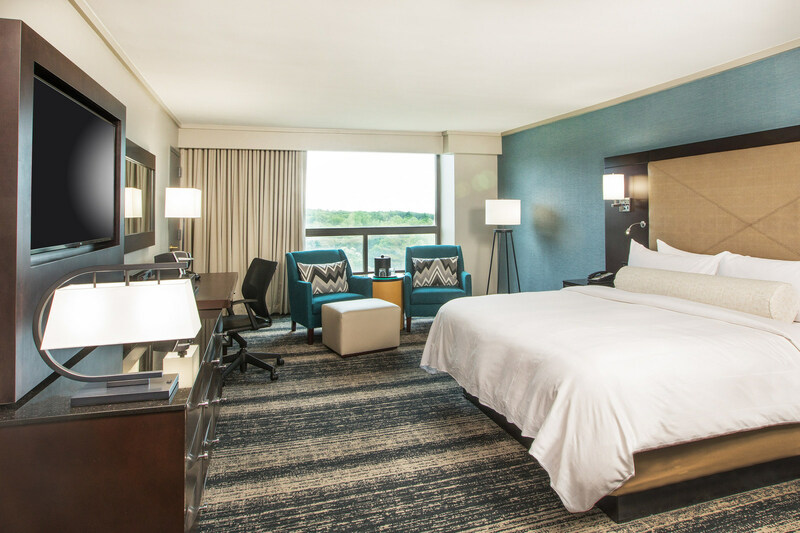 Boston Marriott Burlington has announced the completion of its multi-phase transformation, adding newly imagined guestrooms to the property’s suite of contemporary upgrades. The extensive transformation, which includes the introduction of CHOPPS American Bar and Grill (the property’s upscale modern chophouse), a new open concept Great Room and lobby area, over 14,000 square feet of state-of-the-art meeting and event space, and several updated guest amenities. Boston Marriott Burlington worked with the Atlanta-based firm Design Continuum to introduce a fresh and modern esthetic to their 418 guestrooms at suites. Inspired by the tranquility of Burlington’s natural forests, the rooms offer a soothing and natural feel complete with modern finishes and fresh accents. The overall design embraces Marriott’s high standard of excellence, while building an identity for the property that marries the natural inspirations of Burlington and the geometric and architecture of nearby Boston. Guest rooms now feature expanded entry ways complete with generous storage, fully updated bathrooms with a custom sliding barn door, as well as lounge seating and traditional desk amenities for both leisure and business travelers respectively. Additionally, all double rooms now feature two queen beds, while king bedrooms are enhanced with a twin bed-sized chaise lounge. Enseo technology is offered complimentary in all guest rooms, which includes on-demand access to top entertainment partners including Netflix, Hulu, Youtube, Pandora, and Crackle.